As a WCA member you receive the following benefits and privileges as a part of your membership. All great reasons to join our conversation! We provide regular information on what is going on in the wine industry. We provide facts figures, data and trends. We provide insights into what is happening in media, social media and communications within the industry. Access to an annual webinar program of 10 sessions per year that introduce and explore industry relevant topics such as Wine Australia updates, wine marketing tools and techniques, media skills, wine branding and cellar door sales techniques to name a few. Receive a weekly email newsletter called the WCA Update. Additional online workshops and a comprehensive media guide for winery members. The opportunity to network via a regular calendar of events. Member rates to WCA national and state based events. Opportunity to connect with and be mentored by successful people in the industry. Wine Media Guide (Business and Winery Members only). WCA also offers their members an extended set of offers provided from their membership base in addition to the standard member benefits associated with being a WCA member. These offers as detailed below are exclusive to WCA Members and are subject to change. New offers are added regularly. 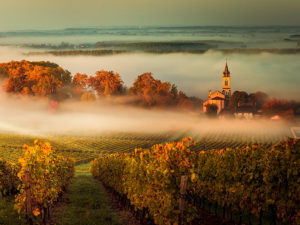 The learning experience of a lifetime in two of the worlds top wine regions – Bordeaux and Adelaide. Created with global wine professionals in mind, this program will bring together wine business leaders, industry bodies and world leading academics, critics and writers to deliver participants the learning experience of a lifetime. Usually EUR 8,888 including accommodation, WCA members are offered a 500 euro discount! If you are a WCA member, click on the Member Login button below to register now and claim your discount. Discover Halliday Wine Companion, the largest library of Australian wine reviews and Australia’s best-selling wine magazine. Usually $79 for a Premium Membership, and $109 for a Vintage Membership. Exclusive price to WCA Members is $55.30 (30% discount) for a Premium Membership and $76.30 (30% discount) for a Vintage Membership. 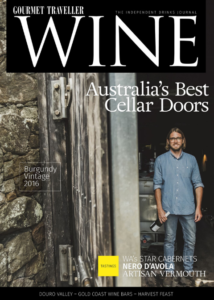 Plus, when you become a member, you can access the digital version of the Halliday Wine Companion magazine for FREE. If you are a WCA member, click on the Member Login button below to access the Promo Code or join to become a WCA member. 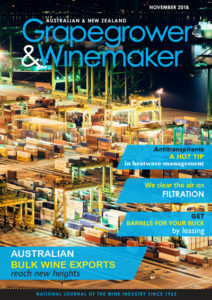 Grapegrower & Winemaker covers all the facets of the industry – from grapegrowing, winemaking, marketing, business and sales – across Australia and New Zealand. Usually $79.95 for Annual subscription (12 issues over 12 mths), exclusive price to WCA Members is $64 (20% discount), including delivery. Usually $55 for Online subscription (12 issues over 12 mths), exclusive price to WCA Members is $44. If you are a WCA member, click on the Member Login button below to access the Promo Code to subscribe or join to become a WCA member. 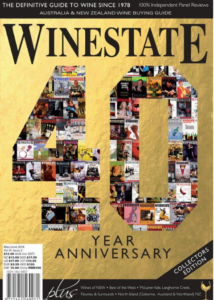 A bi-monthly magazine devoted to the promotion of a greater appreciation and enjoyment of wine. Usually $90 for the Complete subscription (6 issues printed and online), exclusive price to WCA Members is $55. PLUS when you subscribe you will also receive membership to Winestate newsletter and to Winestate’s Public Tastings throughout the year. 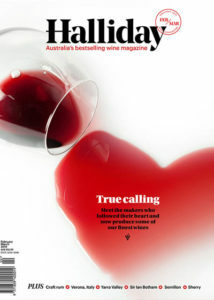 Australia’s leading independent drinks journal, dedicated to keeping you informed on the ever-evolving world of wine. Usually $82.95 for the COMBO 1 year subscription (6 issues print + 1 year digital), exclusive price to WCA Members is $54.75. Usually $166.90 for the COMBO 2 year subscription (12 issues print + 2 year digital), exclusive price to WCA Members is $110.15. 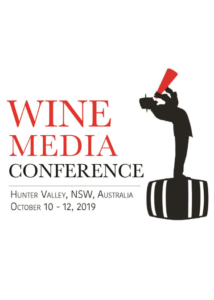 The conference is aimed at wine bloggers, wine writers, and wine influencers not just in North America and Australia but from all over the world. It’s a not to missed event on the 2019 calendar! A concise, easy to follow, educational approach makes this an ideal book for anyone who is interested in wine. 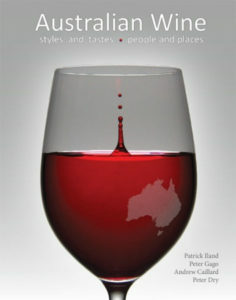 It contains 290 pages of informative text, maps, wine style guides, tasting clues and over 300 photographs to illustrate the richness, diversity and quality of Australian wine. If you are a WCA member, click on the Member Login button below to access the WCA Member offer or join to become a WCA member. 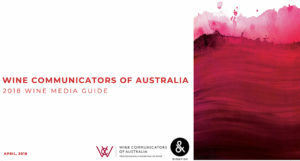 Welcome to the Wine Communicators of Australia 2018 Wine Media Guide for business and winery members only. This guide aims to provide members and wine bodies with information and insights on key industry wine writers and trade publications. The Guide includes: Dos and Don’ts of Sampling; Dos and Don’ts of a Media Release; Who’s Who; Wine Writers/Bloggers/Influencers/ Freelancers and more! 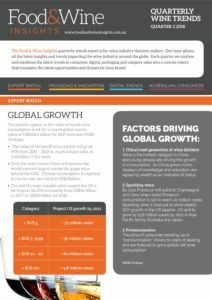 Condensing the latest trends in global consumer, online and wine sales and translating the key opportunities and threats for your brand, this report is delivered electronically 4 per year. Available for an annual subscription fee of $450, WCA Members also receive a 1 hour Skype consultation where we will identify the best opportunities for your brand/business. Click on the Member Login button below to access the Promo Code to subscribe or join to become a WCA member. Complimentary access to an annual webinar program of 10 sessions per year. These popular and valuable sessions introduce and explore industry relevant topics such as Wine Australia updates, wine marketing tools and techniques, media skills, wine branding and cellar door sales techniques to name a few. 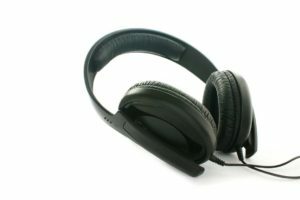 Click here to access recordings.